How do you use stones? 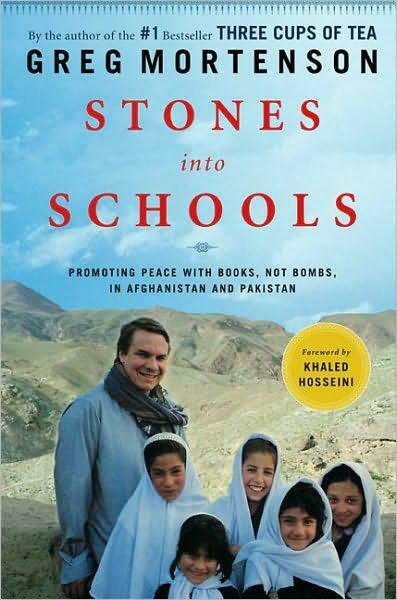 This is a rare second posting, but I want to respond to all the recent accusations surrounding Greg Mortenson, the author of Three Cups of Tea and Stones into Schools. The mission of his foundation, Central Asia Institute, is to build and support schools in the isolated mountain villages of Afghanistan and Pakistan. Mortenson has received incredible publicity and significant donations for this work. No one denies that he and his foundation have done incredible work for the children of the region. However the TV show 60 minutes and the author Jon Krakauer have made substantial and credible accusations that Mortenson partially fabricated some of the stories in his books and that he has mismanaged funds. Mortenson has not totally denied these accusations, but continues to stand by the work he has done. I cannot discern who has the total truth in this tempest. I suspect the truth is somewhere in middle. What disturbs me is how quick I was “to judge” Greg Mortenson. I felt this incredible disappointment as I read the Jon Krakauer’s report and saw some of the major blemishes on the “saintly” portrait I made of Mortenson. I discovered that my hero has feet of clay. But this should not surprise me. Greg Mortenson will need to be held accountable for any mismanagement he has done. His foundation will need to take drastic steps to rebuild the trust that is being eroded by these reports. I am praying that such steps will be taken wisely and courageously. But I also want to state that Greg is still a saint in my eyes. Our sainthood is not based on our reputation, but on the grace of God. I am praying that Greg will find his faith and mission strengthened and renewed by God’s Spirit, just as I am praying that prayer for myself and my congregation. After all I prefer stones to be used in building schools, not attacking reputations. This entry was posted in Bible, grace, Jesus, Lutheran, spiritual exercise, Uncategorized and tagged Greg Mortenson, John 8, saint and sinner on April 19, 2011 by Pastor John Keller. It’s hard for me to make this comment because you’re right, we should not judge and also because what I’m going to say will not be received well by many. But when I read his first book years ago, I was so disappointed by his neglect of his family, that although I know he did great things, I couldn’t get past the fact that he brought children into this world and then was not there for them a good deal of the time. I think that is irresponsible. It really bothered me, and as a result I have always considered him rather egotistical and selfish; and that made it difficult for me to see him as the hero that so many others see him as. Deb, thank you for that perspective. In hindsight, many discerning readers can see other dark issues in Greg’s story. I remember reading a novel called the Glittering Images by Susan Howatch, in which the hero, an Episcopal Priest, keeps up this glittering public image of himself, when underneath there are all kinds of troubling behavior. I wonder if Greg’s wife might ever speak out about this.